Montana's Haskill Basin provides nearly 75 percent of the water supply for the town of Whitefish, located near Glacier National Park. The basin's working forest has been harvested by F.H. Stoltze Land & Lumber Company for a hundred years, supporting a timber industry key to the local economy even today. Concerned about development on the sensitive site, The Trust for Public Land secured an option to purchase development rights from Stoltze. 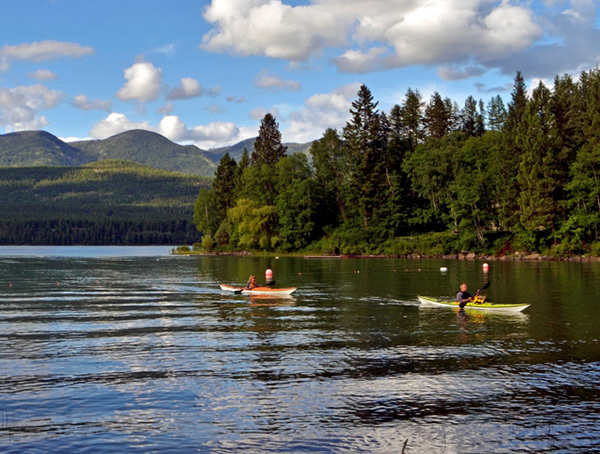 In April 2015, Whitefish voters approved a 1% resort tax increase to help finance the purchase of a conservation easement that will permanently protect 75% of the city's water supply. Under the guidance of The Trust for Public Land's Conservation Finance experts, community leaders constructed a ballot measure that won 84-percent voter approval, enabling us to continue our work to complete the easement purchase. In February 2016 we completed the purchase and transfer of the conservation easement, permanently protecting the city's water supply, maintaining local timber jobs, protecting important wildlife and scenery, and ensuring that the public will continue to have access to a treasured recreational resource.